5811 Martin Potato Rolls $476,000 $476,000 $2,400 Nassau County NY Very Rare Business Opportunity.....Net over $2,400 a week after all expenses....Gross weekly sales over $11,000.....This Martins Bread route for sale has the option to pick up product in either Babylon or Medford......The route delivers to prime areas of Nassau County such as Levittown, East Meadow, Merrick, Wantagh and Plainview....The route consists of 14 accounts that include BJ's, Stop & Shop's, Walmart, Target, King Kullen, Uncle Giuseppe's and more....The route goes out Monday-Friday from 4:30am-12:30pm and includes a 2012 Chevy 16ft Box truck....only 476k total....Serious inquires only and proof of funds are required....Please call for more information (800) 769-0927. 5810 WISE SNACKS $79,000 $79,000 $700 Point Pleasant NJ Net $700 a week after all expenses.....Gross weekly sales average $5.600.....This Wise Snack route for sale turns out of Jackson New Jersey and delivers to town such as Brick, Toms River, Point Pleasant, Seaside, Bayville and more....The route has a great mix of cash accounts and some major accounts that include Stop & Shop, Shop Rite and Quick Check....The route also includes a 2012 Chevy 3500 Box truck that is in great condition....only 79k total price....Please call for more information (800) 769-0927. 5809 Coffee Truck Route $155,000 $155,000 $2,500 Secaucus NJ Net $2,500 a week after all expenses.....Gross weekly sales average over $5,000 a week.....This Coffee Truck Route for sale has been owned by the same owner for over 14 years...The route goes out Monday-Friday from approximately 4:00am-1:00pm with 29 cash accounts all in Secaucus area, tight right with little driving....The route also includes a 2006 Chevy Silverado truck that is in excellent condition....only 155k total....Please call for more information (800) 769-0927. 5808 Arnold Bread $275,000 $125,000 $1,500 Bayonne NJ Net $1,500 a week after all expenses including a helper....Gross weekly sales average $12,500....This Arnold Bread route for sale picks up product in Wayne New Jersey and delivers to Bayonne and Jersey City.....The route has a nice mix of cash accounts and major accounts that include Shop Rite, Stop&Shop, Costco, Walmart, ACME, Pioneer and Bravo....The route also includes a 2007 16ft box truck that has been well maintained....only $275k total and with good credit financing is available with $125k down....Please call for more information (800) 769-0927. 5807 Tropicana/Naked juice $599,000 $599,000 $3,340 Queens NY Net over $3,300.00 a week after all expenses including a helper....This Tropicana Route for sale sells over 73,000 cases per year and growing....The route has approximately 120 cash accounts and some major accounts that include, Queens College, Rikers Island, Elmhurst Hospital, Grand Hyatt Hotel and more......The route delivers to towns in Queens such as Long Island City, Jackson Heights, Elmhurst, Bellerose, Woodside, Astoria, Richmond Hills and more.....The route also includes a 2007 24ft Freightliner Diesel truck that has been well maintained.....only $599k total....Tropicana also requires a separate 15k security deposit that is refunded after six months.....Serious inquires only and proof of funds are required....Please call for more information (800) 769-0927. 5806 WISE SNACKS $82,000 $82,000 $1,000 Ocean County NJ Net $1,000 a week after all expenses....Gross weekly sales average $5,500....This Wise Snack route for sale picks up product in Jackson New Jersey and delivers to towns along the Route 70 Corridor such as Whiting, New Egypt, Manchester, Lakewood, Browns Mills and 2 stops in Asbury....The route has a great mix of cash accounts and major accounts that include Shop Rite, Stop&Shop, ACME, Fort Dix Military Base and more....This route has tremendous growth potential....The route also includes an older truck that the owner is including for free, its an older truck but just had a rebuilt engine installed....only 82k total price and the owner would consider holding a note for the right person.....Please call for more information (800) 769-0927. 5805 Old Trapper Beef jerky $139,000 $139,000 $1,800 Raleigh NC Net $1,800 a week after all expenses.....Gross weekly sales average over $7,500....This Old Trapper Beef Jerky route for sale has the exclusive territory in North Carolina.....The route goes out Monday-Friday and services areas such as Raleigh, Fayetteville, Handerson, Rockmart all the way to High Point with tremendous growth potential....The route consists of approximately 200 cash accounts.....This route does not include a truck....only 139k total, owner would consider holding a small note.....Please call for more information (800) 769-0927. 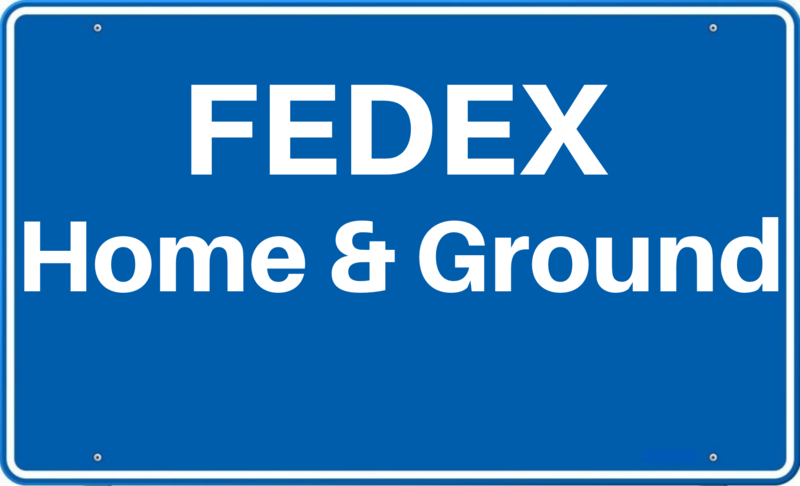 5804 FedEx Home & Ground $625,000 $625,000 $3,500 Austell GA Net over $3,500 a week after all expenses including drivers and a manager....Gross annual sales over $800,000....These FedEx routes for sale turn out of the Austell Georgia terminal and meet all of the new ISP criteria including the Home and Ground overlap....The routes include 14 trucks that will have clear titles at closing....625k total....Serious inquires only and proof of funds are required....Please call for more information (800) 769-0927. 5803 Mission Foods $140,000 $140,000 $1,100 Westchester NY Net $1,100 a week after all expenses....Gross weekly sales $5,500.00....This Missions Route for sale pick up product in Yonkers once a week and delivers to towns such as Mahopac, Mohican Lake, Peekskill, Croton Falls, Katonah, Golden Bridge and more....The route has a great mix of cash accounts and major accounts that include Stop&Shop, ShopRite, ACME, Walmart, DeCicco's, Key Food and more....The route also includes a 2001 Ford E450 15ft Diesel Box truck that has been well maintained...only140k total....Please call for more information (800) 769-0927. 5802 Voortman Cookie $100,000 $100,000 $800 East Brunswick NJ Net $800 a week after all expenses for working 3-4 days a week.....Gross weekly sales over $5,000 a week.....This Voortman Cookie route for sale has a very large area that includes East, North and South Brunswick, Middletown, Piscataway, Long Branch, Neptune and more...The route has a great mix of cash accounts and major accounts that include Shop Rite, Walmart, Target, Wegmans and more, this route also has tremendous growth potential.....The route also includes a 2001 GMC Van that has been well maintained.....only 100k total price.....Please call for more information (800) 769-0927. Copyright © 2018. Routes to Success. All Rights Reserved.